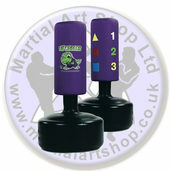 If you've been practising martial arts for some time then you'll understand the importance of punch bag training. You'll know that some bags are built to withstand heavy punches and kicks, while others are designed to aid the development of speed. 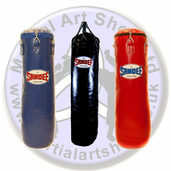 You'll find that there are a wide variety of quality punch bags in the Martial Arts Shop. 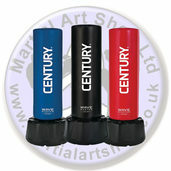 If you're looking for a seriously sturdy punch bag then you should definitely check out the Century XL Bob. Dojo and gym owners throughout the world have talked about the reliability of this bag. 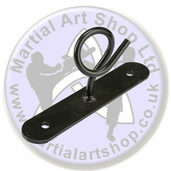 They've found that it's a great training aid for martial artists of different abilities. However, you also have the option of buying the traditional Adidas or Blitz bags. Alternatively you may be interested in the kids punch bags and hand targets, which are perfect for training your little warriors. You can be assured that all of our punch bags have been built to last. They're made out of the toughest materials and can withstand the most ferocious kicks and punches. You should spend some time checking out our superior training products before making a purchase today!